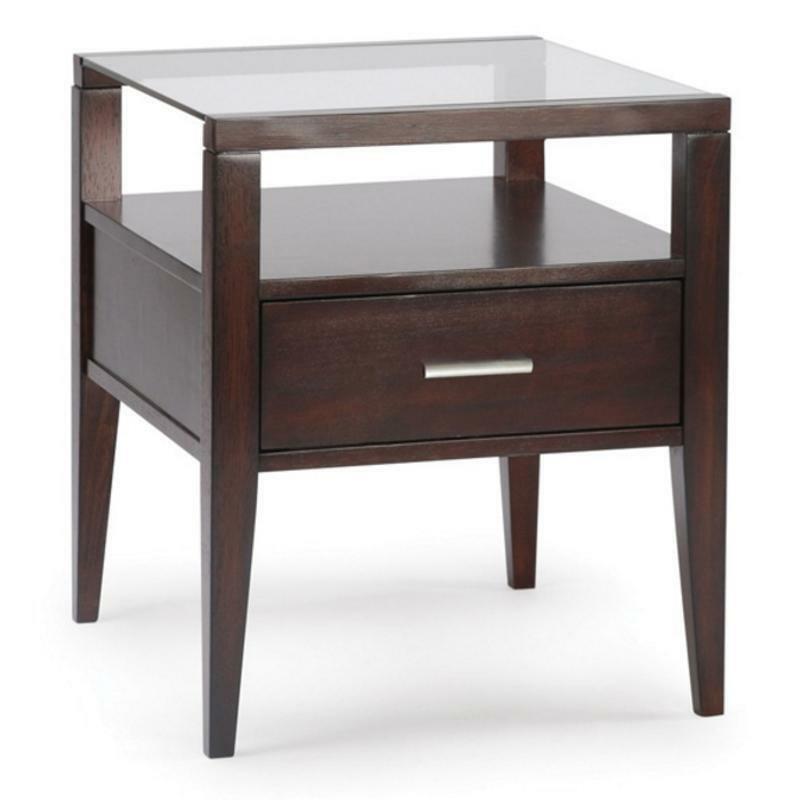 The Baker end table by Magnussen exudes modern styling with its clean lines and sleek forms. 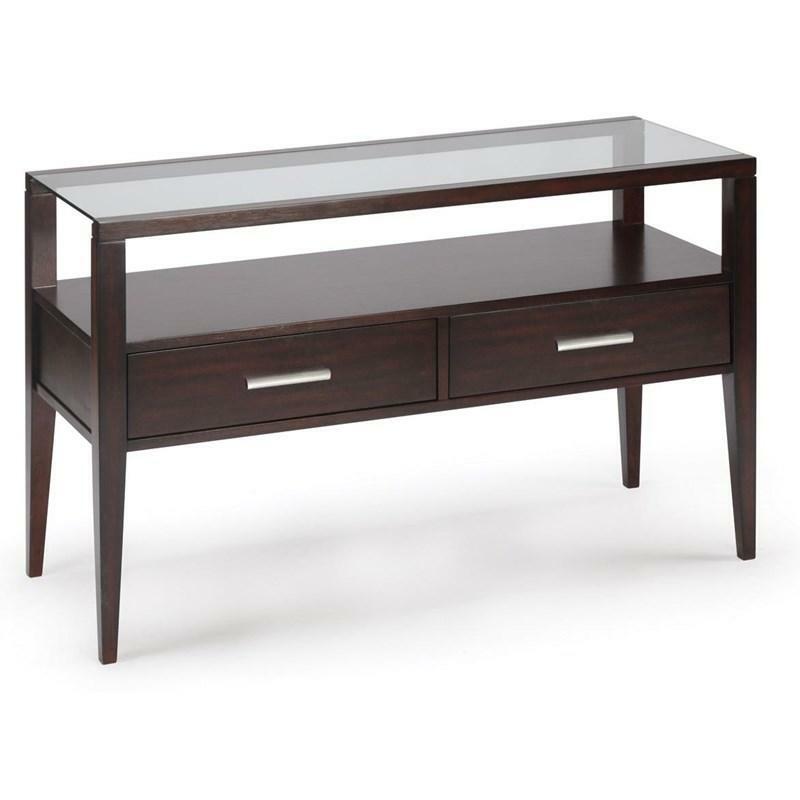 Crafted of cherry veneers and finished in a deep merlot, it features a glass top and streamlined brushed nickel hardware that highlights its contemporary look. 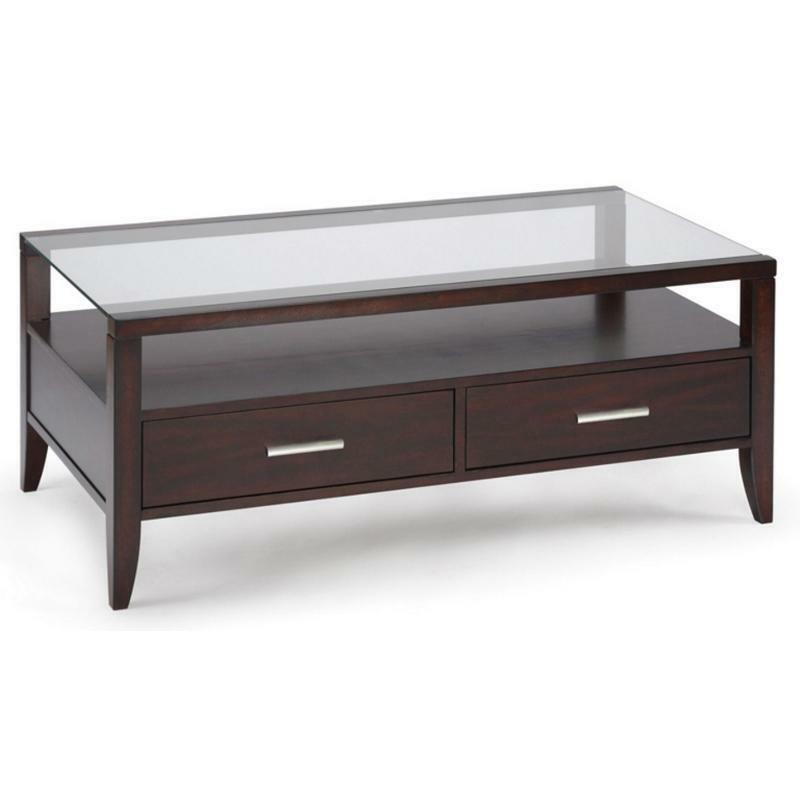 It also features a shelf, a storage drawer and stands on tapered legs. Pair with the matching tables to create a beautiful set for your living room. Volume 4.5 cu. ft. / 0.13 cu. m.